It's never to early to start preppin' for fall though! There's nothing quite like it—the celebration of things dying by sippin' on pumpkin spiced lattes, no more sweaty humidity, wrapping yourself up in enough sweaters to have yourself bake internally, etcetc. 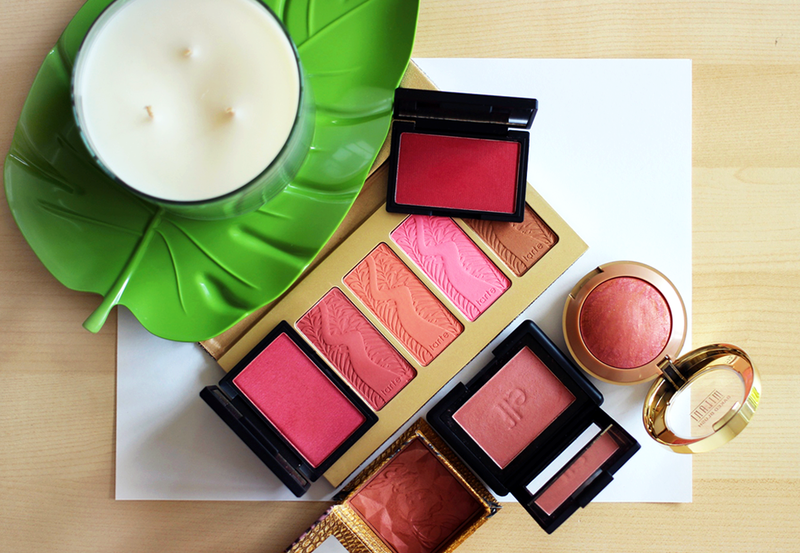 And of course, over at C&GB, I've prepped by digging out my most autumn-esque blush shades! I get it. Deep berries, wines, and plums aren't for everyone. (Although, technically you could buy a super pigmented berry blush and sheer that down with a fluffy/stippling brush!) For those who want to embrace a fall flush but don't want to look like they came off a catwalk, Benefit's 'Rockateur', ELF's 'Mellow Mauve', Tarte's 'Dazzled', and Milani's 'Berry Amore' have got you covered. 'Rockteur' doesn't quite look like a autumn shade in the swatch above, but it's actually quite mauvey in real life. Also, Milani's does contain a fair amount of gold shimmer, so be wary of that. Overall though, these shades are all hard to overdo, though some last longer on my face than others. Oh Sleek...NOW WE'RE TALKING. As we all know by now, Sleek does not mess around when it comes to pigmentation. You're definitely going to want to use a lighter hand with Flushed and Pomegranate. Flushed is a gorgeous wine shade, and will definitely make you look like you're naturally ~flushing~ while you're out crunching those dead leaves. Pomegranate, on the other hand, leans more berry and has more of a sheen. If you can brave through the pigmentation of these, they definitely won't disappoint! 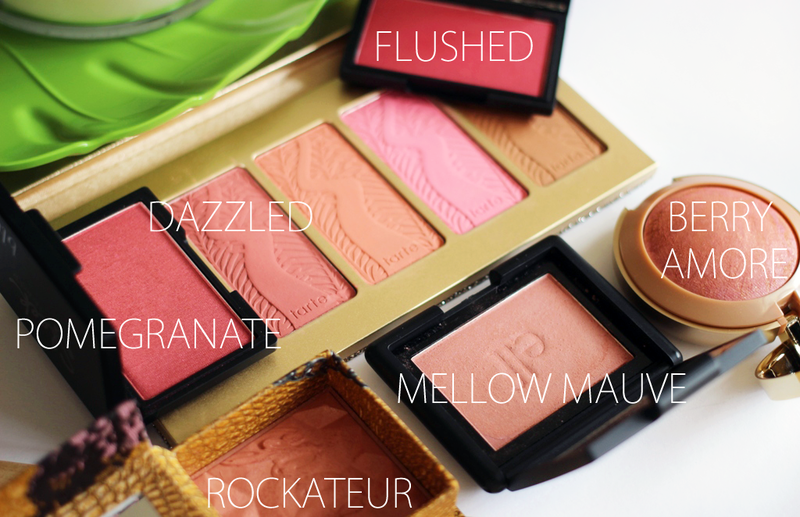 What blushes will you be slapping on this autumn? Sidenote: Bath & Body Works finally has fall candles out! TIME TO CHANNEL MY INNER DRUG-SNIFFING DOG.